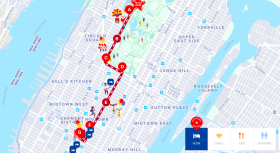 There are 2.5 miles of public viewing along the parade route in NYC; this interactive map can help you find a great spot instead of getting lost in the crowd. The map, from the fine folks behind the parade, outlines when the parade will pass by, which streets have the best public views (6th Avenue from West 59th to West 38th Streets gets the thumbs-up) and which ones are restricted, such as Central Park South at Columbus Circle. Also marked are all-important things like coffee, food, and restrooms. 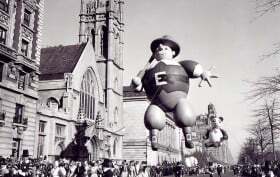 With just under two weeks to go until the annual Macy’s Thanksgiving Day Parade takes to the streets, preparations are in full swing. 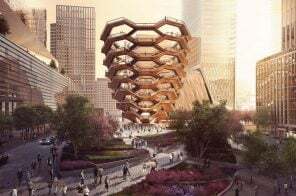 Earlier this week Macy’s revealed a series of new balloons that will be joining the cast of old favorites at this year’s event, as AM New York reports. Among them will be a giant rendition of Goku from Dragonball Z (towering over spectators at 70 feet long, 56 feet tall and 36 feet wide) and the first Netflix characters: Fleck, Bjorn, Jojo and Hugg, elves from the forthcoming movie “The Christmas Chronicles” which debuts on the streaming service on Thanksgiving Day. 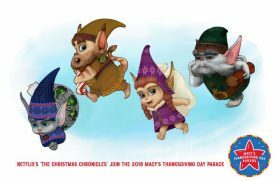 The 90th annual Macy’s Thanksgiving Day Parade will be held on Thursday and several streets will be closed as thousands of spectators come out to see the parade. In order to get the best view, it is advised that you get to the parade location as early as 6 a.m. The parade will begin at 9 a.m. at 77th Street and Central Park West. 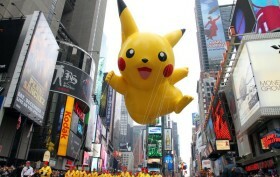 It will travel 2.5 miles and end at Macy’s Herald Square on 34th Street. 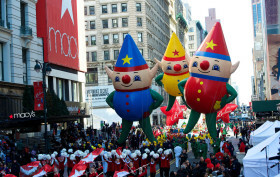 Macy’s has also setup a fun and interactive website that provides detailed information about this year’s parade, including where to watch, this year’s lineup, and a timeline showing past parades in New York City. For one day each year, Macy’s Thanksgiving Day Parade transforms the streets of New York City into the ultimate stage for marching bands, dancers, floats, and of course, giant balloons. 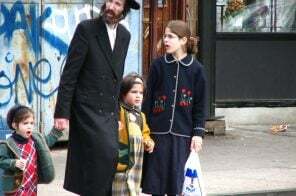 As we can all imagine, putting on a parade of this magnitude is no small task. 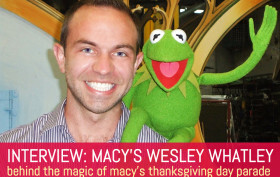 And that’s where Wesley Whatley, the Parade’s creative director, comes in. Wesley is responsible for overseeing, developing and bringing the creative side of the event to life. His role requires vision, organization and a deep understanding of the parade’s history and its importance to both the city and America. Along with his team, he ensures it’s a magical event for spectators and television viewers. In anticipation of tomorrow’s parade, we spoke with Wesley about selecting marching bands and performers, the logistics of organizing such a large event, and, on a personal note, what parades mean to him. You may not wake up early enough tomorrow to catch the Macy’s Thanksgiving Day Parade, but we bet you know these balloon characters anyway. 10 of those famous helium-filled stars were matched up with “their” NYC neighborhood. Guess which character belongs in each neighborhood in this fun Buzzfeed quiz!